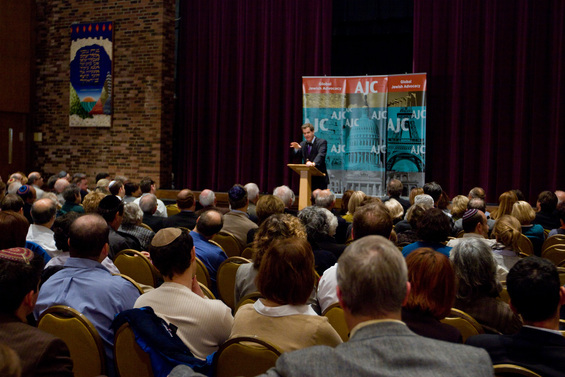 Over 300 people participated in the launch of AJC Boston’s Global Voices Initiative featuring AJC Executive Director David Harris this past Thursday at Congregation Mishkan Tefila in Chestnut Hill, MA. Harris spoke about the Iranian nuclear threat, Israel’s pursuit of peace and security, and the struggle for regional stability in the Middle East. AJC Boston will continue to host world leaders and opinion makers as part of its new Global Voices Initiative series. For more information about the Global Voices Initiative, please visit http://www.ajcboston.org.